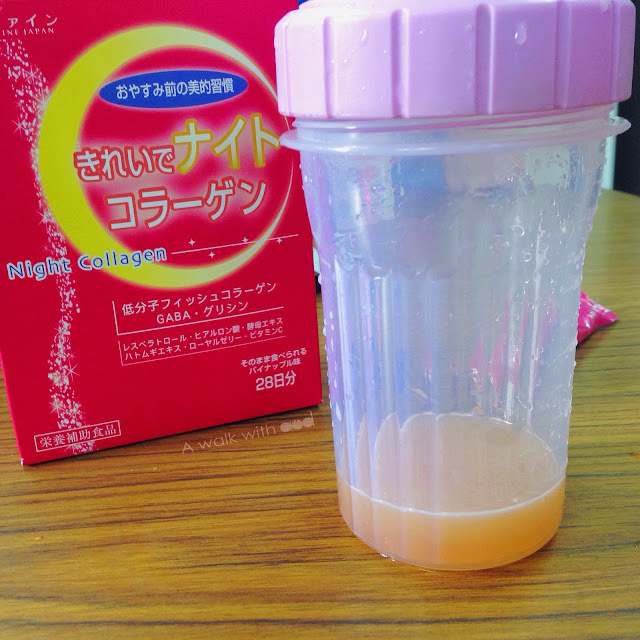 I have been drinking collagen since I was 22. 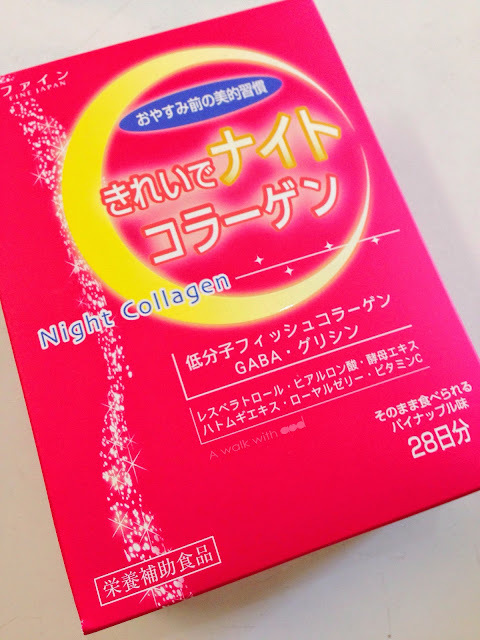 It's been more than 10 years, but it is my first time trying something called Night Collagen by FINE (Glycine + GABA + Resveratrol Skin Repair Formula). Using a comfortable night's sleep and skin repairng as a concept, Japan FINE Company synthesized an unique formula－"Glycine + GABA + Resveratrol” aimed to enhance sleep quality but also focus the attention on the skin by removing skin tension and also to repair the skin. 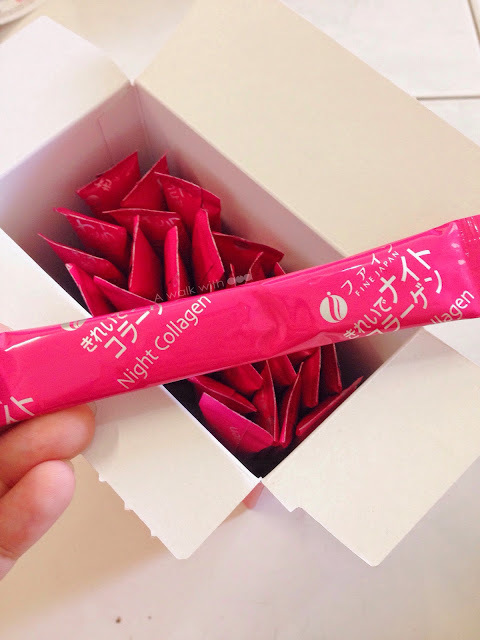 Night Collagen promotes the low-molecular fish Collagen peptide and Hyaluronic Acid synthesis, including vitamin B, vitamin C, and other necessary nutrients for 1 day. At the same time, it also contains other natural skin care ingredients such as propolis and Pearl Coix extracts that play a greater and direct role on beauty care. As the name suggest, it should be consumed night time so it is recommended to take 1 packet daily after dinner. 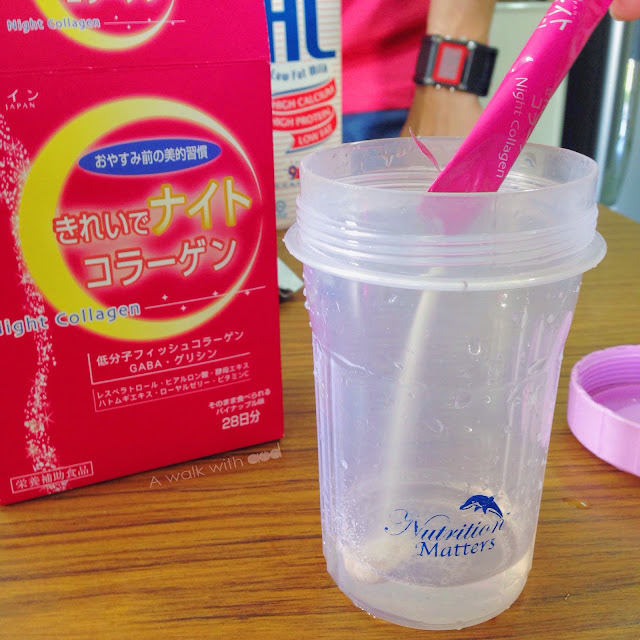 Mixed it with 150 ml warm water. In the photo I demonstrate with less water so that the color is more obvious. It has a nice and delicious pineapple flavour. You can get them at HiShop >>here<<. Quote "AUDREYTIOW" to enjoy 15% discount for all normal priced items.